Pam’s about to shoot off to Hamburg where she’s tandem cycling to Berlin over the next couple of weeks (her husband’s idea of a holiday), while Lorraine is nursing her husband’s bad knee. Don’t know who’s got the best deal but in the meantime we thought you might like to hear about a great competition at Authors XP. Win up to 13+ American/British eBooks! Light up the fireworks for a blazing hot 4th July giveaway extravaganza! And if America’s Independence day doesn’t mean much where you happen to live (like Pam), it’s still a winning situation. OK, maybe those bunch of pesky colonists still can’t brew a decent cuppa tea but they did bring us Starbucks and Desperate Housewives, right? So while Lorraine fires up the barbecue and chills the beer, (Coors, of course, our local Colorado brewery), Pam’s making sure everyone gets a chance to take part in these two great offers. Free to enter, so good luck to all. Hope you win something. Follow one or more authors and enter to win one of two $20 Amazon gift certificates! Just click on the picture and it’ll take you to Amy’s site at Authors XP. Discover new authors and win free books. You may win one book or the grand prize – every book featured in this contest! And if you see something like this on the beach – run! So you’re hot on language, your grammar is impeccable, your style puts Strunk and White to shame and like Akelah you could win any old spelling bee. Why would you, as an indie author, need to pay for outside help? Well, you only have to read a few Amazon reviews to know that readers can be an unforgiving bunch, quick to spot a typo or a missing space between paragraphs. As an indie author you have to make some difficult choices about how much assistance you can afford to enlist. We wrote a whole post on the importance of a good book cover and we still feel that unless you’re amazingly hot stuff at art, you’re probably wiser to leave that to a professional. But here’s Ellie Campbell’s take on things. Having a good editor is brilliant. Our first editor, Emma at Arrow Books, was instrumental in whipping How To Survive Your Sisters and When Good Friends Go Bad into shape. She pointed out that the endings were too short, the middle was too long, told us which characters needed motivation or fleshing out, where we’d over-described, repeated ourselves, or missed some vital information. After our rewrite, she did a massive line edit, cutting, stretching and pulling those babies until they cried uncle and turned into halfway decent novels. And did we learn a lot from her! These days we rely on our two sets of eyes, multiple drafts and hard-won experience to get the story tight and hopefully catch any glaring errors. We might then send the book to one or two amazing friends who can be trusted to say things like ‘your hero’s a bit of a creep’ instead of just ‘it’s great, honest’. BTW, if you have discerning friends like that, never let them go. They’re pearls beyond price. Meanwhile, about those typos – isn’t it amazing how you can read and re-read the book numerous times, scan each word line by line, yet still those little devils slip past you? Apparently the reason it’s so hard to spot your own typos is because your clever busy brain skips over details like transposed or missing letters because it knows the meaning you’re trying to convey and focusses on that. In other words it sees what it expects to see. And that, more than anything, is why we need outside help. But perhaps you have a different experience. Or another professional you – and your writing career – couldn’t live without? Memorial Day Giveaway and 25+ Suspense e-books to win! Hard to believe it’s already Memorial Day weekend! We’re back from Costa Rica and celebrating the US unofficial start to summer with a romantic suspense giveaway, including our own When Good Friends Go Bad, as well as a fabulous chance to win a Kindle or cash prize. As for our own holiday, well it was memorable! Beautiful beaches, zip-lining, catching our own fish dinner, hiking jungle trails with monkeys and poisonous dart frogs, sharing our rental house with macaws, iguanas and geckos – while Boulder got hit by yet another blizzard that Lorraine wasn’t sorry to miss. We’re thinking of using this for our new profile pic. What do you think? It’s time to remember, and celebrate with a $400 Memorial Day Giveaway. Here’s a chance for you to win one one of two 8″ Kindle Fire Tablets or one of four $50 Amazon gift cards. Just click on the link and enter . It’s easy & fun. If you love reading, enter now; giveaway ends May 29th. 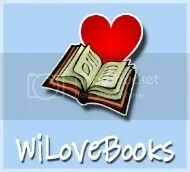 Win up to 25+ Romantic Suspense eBooks! We’ll leave you with our last image of Costa Rica. Aah well. Back to reality. Good luck with the competitions! May m adness brings prizes, promotions, a mega-giveaway and some crazy weather! Pam is basking in English sunshine while Lorraine and four horses shivered this weekend through a foot of snow dumped on Colorado after the driest mildest winter ever. Meanwhile we’re packing for our next exciting destination, Costa Rica where we’ve planned some intensive explorations – searching for toucans and howler monkeys, along with the best beach, best national park, be st zip-lining experience, best lethal cocktail – naturally, all done in the worthy and extremely professional goal of collaborating in some future Central American novel 🙂 And of course we’re bringing hubbies and Pam’s family along to, well, assist in the…ah-hem…hitherto-mentioned research and also because they refused to let us go without them. And here are the promotions we promised. Looking for La La has been chosen by Amazon to be in their Mother’s Day Sale. Price drop to AUS $1.49. For those in the UK, both of these novels are on a 99 pence May Madness sale. For readers in the US, here’s two new Amazon giveaways. Love, Lies & Other Deceptions, our brand new collection of short stories, and When Good Friends Go Bad, our chicklit romance. All you need do is follow us on Amazon for a chance to win – 22 winners! And for everyone else: Authors XP are holding a MEGA giveaway where you can win e-books from 180+ of your favourite authors. Win up to 180+ eBooks! So choose your favorite genre, pick your favourite authors, and good luck to all. Best news is that this is a global promotion so all those who have missed out on kindle countdowns won’t be left out. We’d love you to share it with all your friends and everyone you know in the far flung corners of the world! Seeking your opinion on book trailers (our new one is below) but first some people have asked us about Lorraine’s dog, Remy (aka) Rembrandt. He’s a whoodle – a wheaten terrier/poodle mix -abandoned by a puppy mill and rescued from a Kansas City shelter. Lorraine had to drive 9 hours to get him but she feels it was worth it. He’s non-shedding (which basically means a dirt and mat magnet) and has to have his dreadlocks shaved off at least once a year. It’s a bit like owning two dogs, one of which happens to be a Wookie. I look up. There’s a young guy standing beside my table, pen poised waiting to take my order. That’s it for now. Good luck everyone and have a great week! Special launch price – Love, Lies and Other Deceptions!!! Yes, it’s just out – our short story collection, Love, Lies and Other Deceptions. Available now on Amazon at the very special launch price of $.99 or equivalent in your area. Each story was written either by Pam Burks or by Lorraine Campbell (writing as Chris Grant) but we intentionally left it to you to guess which sister wrote which! For those of you who like the feel of a real book, the paperback will be available soon. Watch this space. Price is going up soon so don’t delay! Love can be quite a trip. Whether it’s that first magnetic encounter with a fascinating stranger, the desperate wait for a call that never comes, or even the lies and deceptions of an illicit affair, there’s nothing like the power of attraction to have us acting like crazy fools. Many of these twenty funny, twisty or thoughtful short tales by bestselling novelist Ellie Campbell, (aka sisters Pam Burks and Lorraine Campbell), were first published internationally in top women’s magazines like That’s Life, Bella, Take A Break, Woman, Woman’s Own and Chat. So grab a glass of wine, fasten your seatbelt and get ready for a bumpy ride along the rocky road to romance. It may be turbulent but it’s still a whole lot of fun! And twenty get all twenty for free! If you’d like to be part of our review team for this very special launch, email us at chicklitsisters@gmail.com and we’ll gift the first twenty to respond either a mobi or epub copy. Limited time only. Pam enjoying herself on her friend’s farm. Don’t you just love springtime!